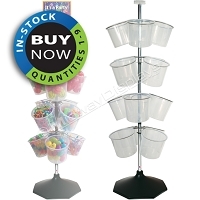 Tray & Dump Bin Point of Purchase Displays | Made in USA | Miday Displays, Inc.
Tray and bin retail counter and floor merchandisers make all products stand out. 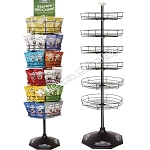 Tray and Bin displays offer affordable options for merchandising beverages, snacks, plush, pet products and home goods. 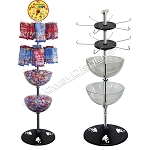 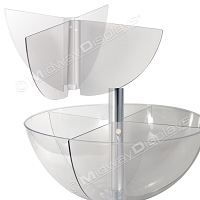 Midway Displays tray and bin merchandising components can be mixed and matched with hook and rotors, clear plastic dump bins, or plastic trays to create a retail merchandiser that will clearly and economically showcase your product. 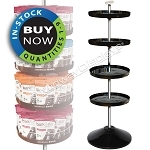 All our parts fit standard pole sizes and can be paired with our line of stock plastic and metal bases for a fast shipment of custom(from stock) solutions. 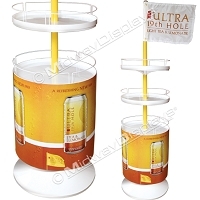 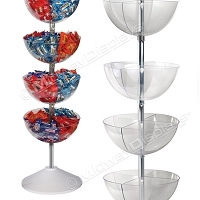 We specialize in quick and affordable solutions for your POP display. 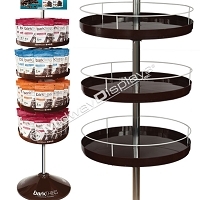 We also love to create and develop customized merchandisers! 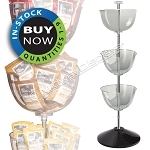 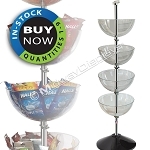 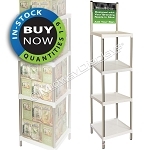 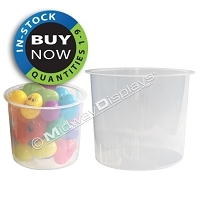 Midway Displays stocks a variety of bulk merchandiser display parts for all your merchandising needs. 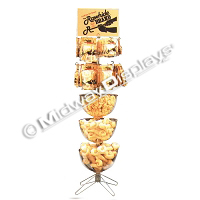 All of our display parts are made in the USA.